One of the best things about your college experience is living on campus – but are you prepared to move in? Do you know what to pack? Are you overwhelmed with deciding what college dorm essentials you really need? Well, look no further! This is the ultimate college dorm room living post to answers all your questions about what college dorm essentials you actually need to buy, how to pack, and tips for moving in and out of college! I’m a senior in college and I’m about to go into my last semester before I graduate this Spring. I’ve lived on campus every semester since freshman year so believe me when I tell you I know all about the do’s and don’ts of packing and dorm room shopping. I’ve had plenty of experience. *Affiliate links are used in this post, read more here. Without further ado let’s get into what you need and don’t need, and the BEST tips for packing/ moving into your college dorm. If you’re sharing a room, make sure you communicate with your roommate to find out what they’re bringing! You don’t want to both bring something like a trash can. Share the load so that they bring certain things one semester and you bring those things the next. My freshman year I wanted everything to be new and everything to mine. That got old pretty quickly after I spent $300 in one store and only did half my shopping. My advice? See what you can bring from home first. I took stuff that my mom had in excess; pillows, kitchen utensils, blender, new towels etc. I wish someone told me this my freshman year. You may or may not agree but hear me out first. I’m not saying don’t shop at all until you move in. Some things are necessities so you know for a fact that you’ll need them. You can get that stuff – but anything else you’re skeptical about or haven’t used before, wait till after you move in. Saves you energy: like I said before, fewer things to carry. Less stress: if you’re going to a college in a different state or just hours away from your home, this will also make things easier. So let’s get practical. What exactly do I mean? How do you do this? You either shop online, or in a store near campus (depending on the size of the items and your mobility). 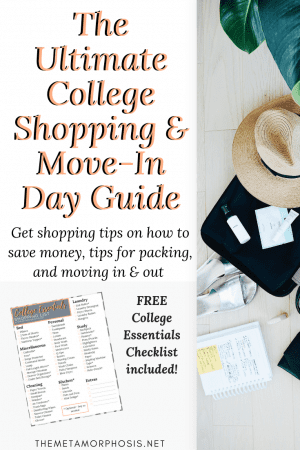 Not sure where to shop for your college essentials? Don’t worry, I got you. Below is a list of the best places to shop if you’re on a budget. Some may be more expensive than others, but these stores usually have great college dorm items and deals around move in time. Feel free to leave a comment below if you have any more suggestions! If you want to get basic dorm room items like storage bins, snacks, and plastic ware, head over to either Dollar Tree and/or Dollar General. In my opinion, it’s better to shop at these places in store rather than online because sometimes they try to get you to buy the items in bulk online because it’s so cheap. Your one-stop shop for… pretty much everything! The great thing about Amazon is that you get a 6 month Amazon Prime Student trial which means FREE 2 DAY SHIPPING! This is the most convenient option in my opinion because you can get your dorm essentials delivered to your dorm in no time. Plus, it’s relatively inexpensive compared to other websites. Of course, Wally-world is on the list! This is a great place to shop for your college dorm room essentials without breaking the bank. You can also pick up groceries from there as well. Target usually has an entire college dorm room shopping featured page to get all your dorm essentials during the summer. They offer great deals on back to school items. I got most of my items there. Great for organization and storage items and other college dorm essentials. It’s a bit more expensive than Walmart and Target but they usually have great items. Also, you can use my link for Free Shipping on orders over $75! Again, there are many other places, but these usually offer the best deals in my opinion. BONUS PRO TIP: I’d recommend going to the super budget-friendly stores first. You can get basic cleaning supplies and plastic ware (for lazy days) and storage and organization items. For the nicer stuff like your bedding, you can check out the other stores. First and foremost, I would recommend using Ebateswhen you’re ordering your stuff online so you get some extra cash back in addition to whatever savings the website may offer. Ebates also finds and applies any active coupons to your cart when you check out for even more savings! In case you aren’t sure how Ebates works, or have never heard of it, you can read my article to answer all your questions about Ebates. BONUS PRO TIP #2: Make sure you have a UNiDays account to get student discounts at hundreds of stores, especially if you’re planning on getting more clothes for college. Disclaimer: since you’re probably going to have family helping you move, you may want to still get some items before you move in to make it easier for you that way. I did a bit of both in my senior year (because I had a lot of stuff from prior years), but I ordered a lot of the new items and had them shipped to the mail room at my dorm. P.S. Just in case you’re wondering, for the items you know you’ll need – order ahead of time so that it comes in the same week/day you move in. Whether or not you decide to order some of your items after you move in, so you don’t have to deal with it on move-in day, you’re still going to have a lot of stuff. It can be hard to pack all that stuff + groceries in your car. So what I’ve usually done is go grocery shopping after I move all my things in (same day). Recently, I’ve been using Instacart ever since they came out, to get my groceries. It’s a grocery delivery app that allows you to shop at your local supermarkets. Instacart is also very interactive in that it allows you to communicate with your shoppers to get any replacements or extra items if needed. It’s literally like having a personal shopping assistant. If you’re interested, you can use my referral link, or enter the code SCHARLERY16E for $10 off your first order. I had to separate this one to make sure you see it because a lot of students actually don’t know about this! As a college student, you get a FREE 6 month Amazon Prime trial after which you pay only $6.49/month. I had a friend who was actually paying the $99/yr fee because he didn’t know this. Don’t be like him. Learn more about this here. Now that you know how to shop smart, get the free checklist for your college dorm essentials! This is the one I’ve been using and loving because I no longer have to drag around that other one when it’s full. It’s actually very spacious so it can fit a lot. It’s also pretty popular in my dorm. I’ve seen a lot of students in the halls just casually pulling it while I struggled with my old mesh one – that’s why I bought it. This is a cheaper alternative that pretty much works the same. The one I use (pictured above) is usually sold out in stores but this one seems to always be available. I prefer mine because it has the lid at the top for more privacy but if you don’t care and you just want a cheaper option then this works too! Another must have are these mini storage organizers. They are great for storing your makeup and smaller items on your desk to reduce clutter. Before I started freshman year, I watched just about every dorm room shopping video on Youtube and downloaded a bunch of college checklists. I had to be prepared, right? USB Flash Drive – no one uses these anymore. 500 decorative pillows – now this is a matter of preference but think about this; most dorms have Twin XL beds which are basically big enough for nobody. If you have like 5 decorative pillows on your bed, where are you going to sleep? Toolkit – don’t need it; call maintenance. Batteries – if you have something you need batteries for then buy it, but what’s the point of getting batteries just because? How do you know what batteries you’ll need until you need them? Sewing kit – I bought one of these for freshman year and I have YET to use it! Alarm clock – save some money and treat yourself with some food. Use your phone. Extra furniture – just don’t. 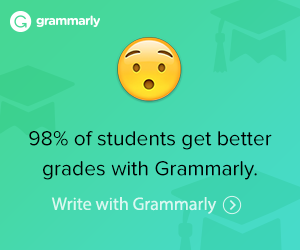 You already barely have space. Shower caddy – unless you’re sharing a public bathroom you don’t need this. Scale – why? do you really need that kind of negativity? 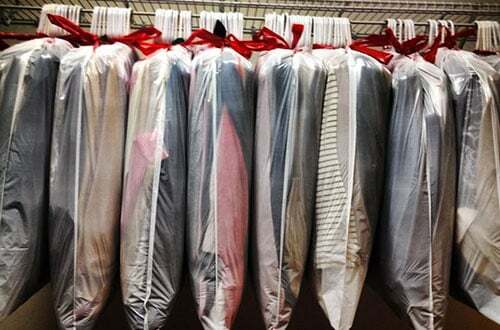 Drying rack – don’t. no space. just use command strips if anything. Curtains – the rooms will have blinders. If you really don’t want any light coming in your room then so be it. 300 storage bins – I had more storage bins than I had things to store; they were just so pretty and alluring. Get storage bins AFTER you move in to see how much you REALLY need. Don’t get me wrong, some of these things will definitely take your dorm to the next level and make it feel more like home. But if you’re trying to save money, you can do without them. 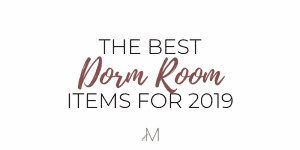 But if you’re more interested in say, having the best college dorm room, I created a list of 30 things that will transform your room! If you bought the mini desktop organizer for your makeup, pack your makeup in the organizer and then put it in a box with the rest of your items for move-in day. That way you just take it out and put it on your dresser and you’re done. My BIGGEST tip for making your life easier on move-in day is to put a garbage bag on your clothes (while on hangers). That way when you’re moving in and unpacking, you simply just hang them up and remove the bags, and voila! You’re done. Store similar items in the same box or storage bin and label it! That way you can find things easily when you’re unpacking. For more packing tips, this post has a lot of good ideas. Cart, hand truck, trolley, whatever you call it, get one. I promise you; this will be the best investment you ever make. My school provides move-in bins to help carry items on move-in day but they rent it out at $15/hour! I’ve always rented a bin because I never wanted to invest in a trolley because I was too cheap. In hindsight, I realized I would’ve saved money had I bought one freshman year. Luckily my friend had one this year so I borrowed hers. Click the images to shop these items! My college always gives out a schedule for move in based on your floor. I always ignore this because I usually get times in the afternoon where it’s busier than usual because that’s when everyone comes. This can be a hassle because it’s harder to find parking plus you have to wait forever to get on the elevator with all your stuff. If you get there as soon as they start it’s much easier. Don’t wait till the last minute to start packing. If you are able to go home on weekends because you live close, bring more and more items home with you in the weeks prior. Now, I’m not saying to starve. I’m saying, don’t buy groceries a week before you move out. Your last shopping trip should be around 2-3 weeks before your last day. Shop strategically so you don’t run out of food. In the last week before you move out you should try to eat up whatever you have left so you don’t waste any food. The last thing you’ll want to pack up is food – you’ll be more tempted to just throw it away. Don’t be like me; don’t take all your stuff home and then bring back all the things you didn’t use the next year. Pay attention to what hasn’t be used and don’t bring it back! I know it’s hard – you’ll tell yourself you might need it, but I promise you, you don’t (as you’ve seen).